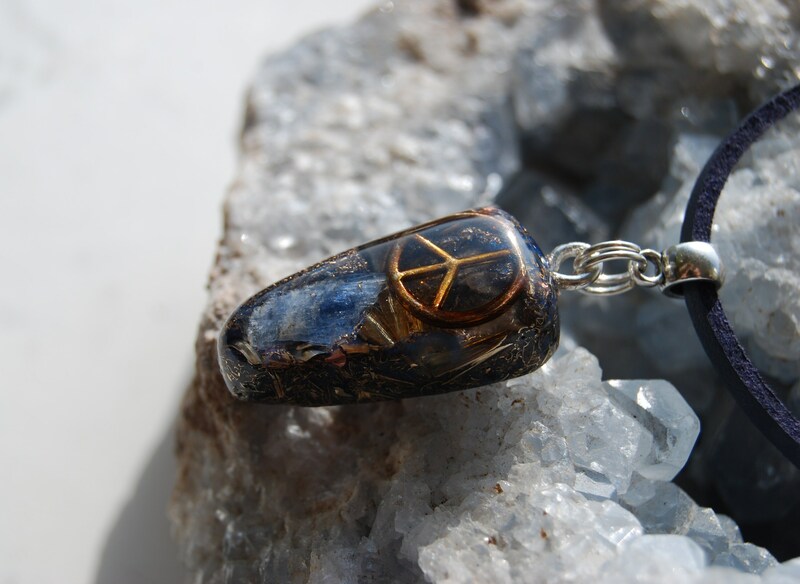 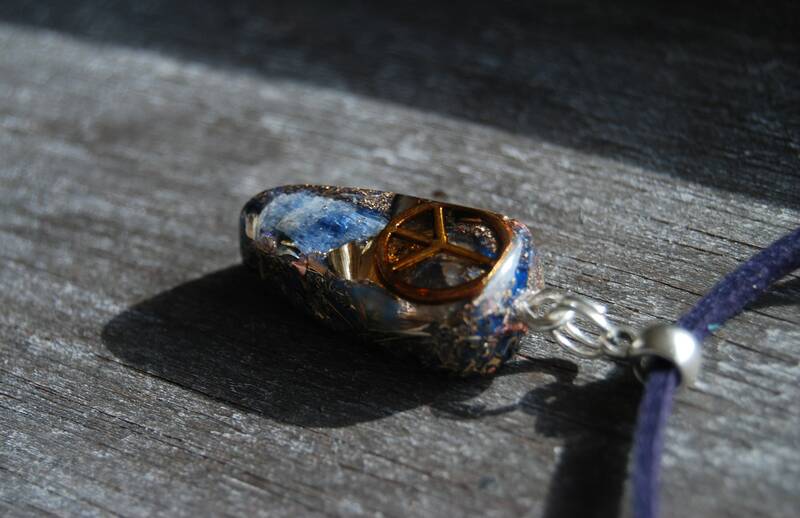 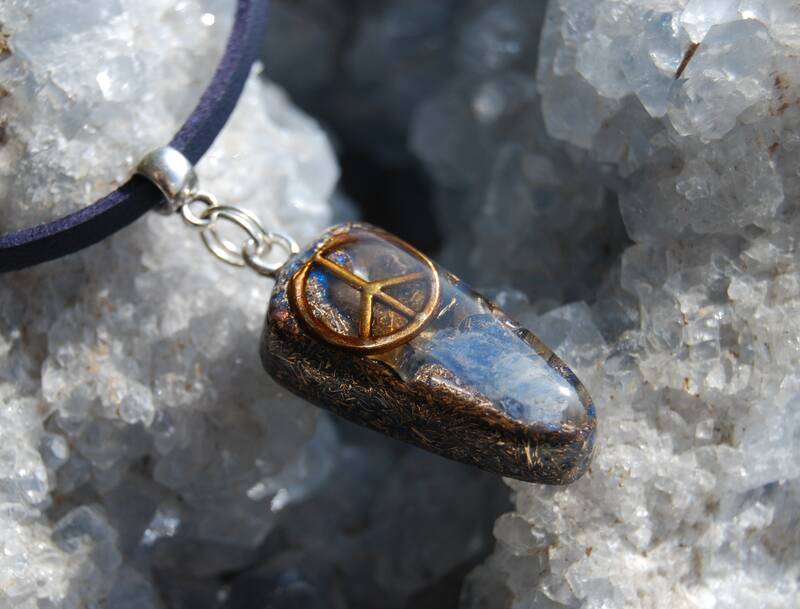 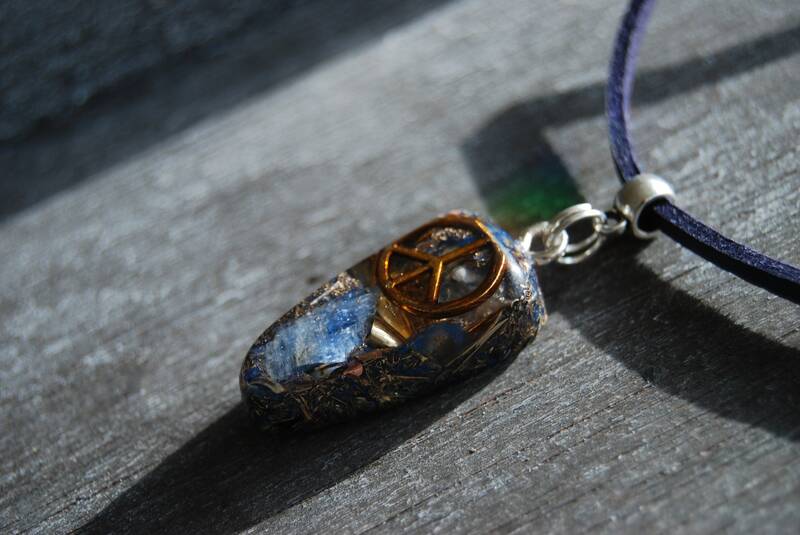 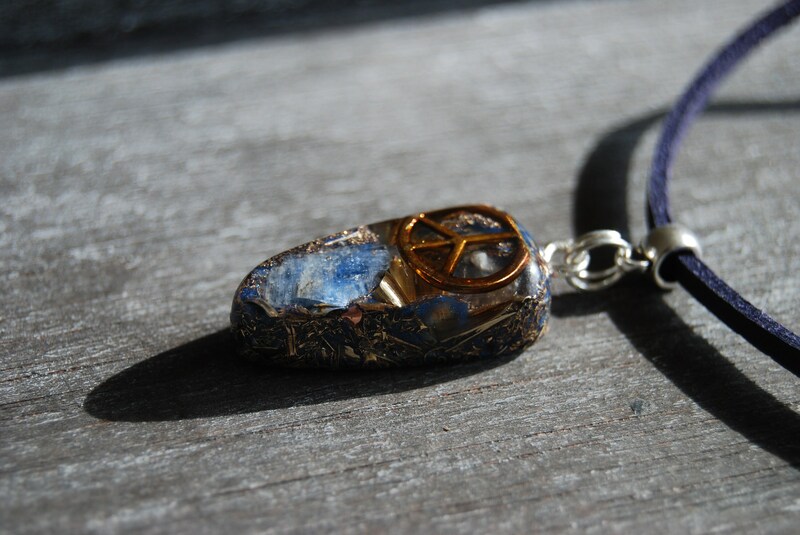 This teardrop shaped Orgonite® pendant contains aluminium,bronze, brass and copper shavings, blue Kyanite, Rose quartz (self love), Rhodizite (to amplify the other crystals), black Tourmaline (to ground excess energy and for protection) in a durable resin setting. 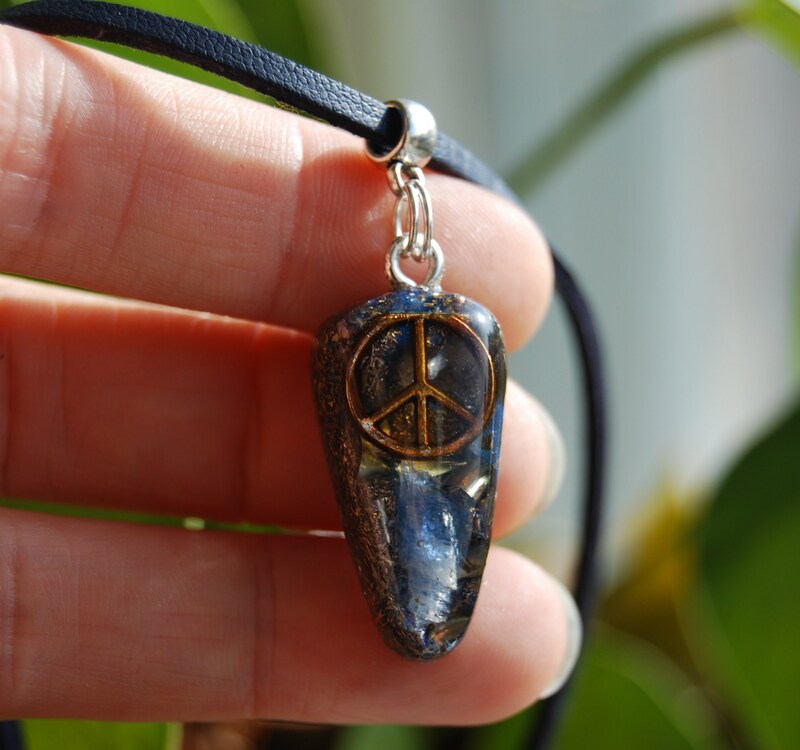 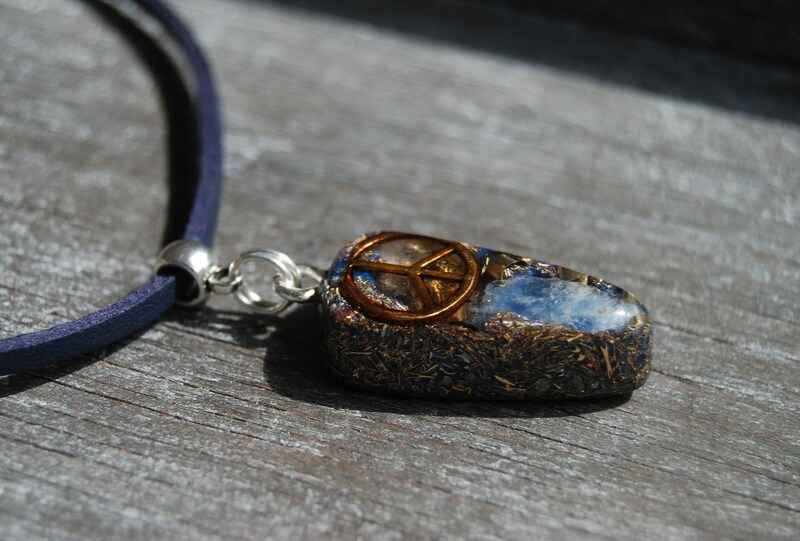 It has a peace symbol ☮️ in the front . 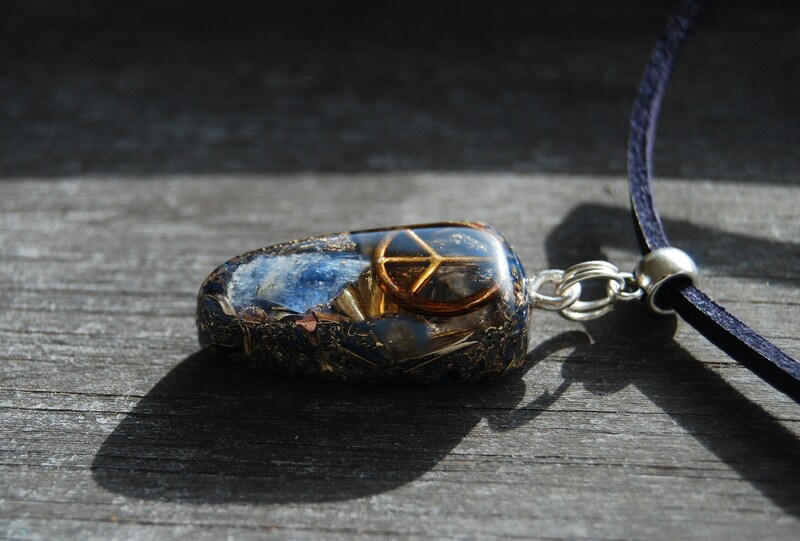 It is based on 50/50 ratio (50% metal/50% resin - the more metal shavings, the better) which is required for the orgonite® to properly work according to William Reich's research.